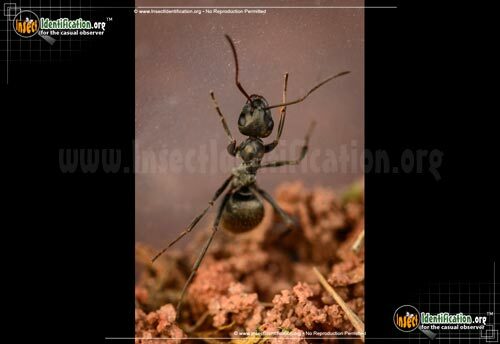 Detailing the physical features, habits, territorial reach and other identifying qualities of the Black Carpenter Ant. The large and bulky Black Carpenter Ant is an unwelcome house guest for good reason. 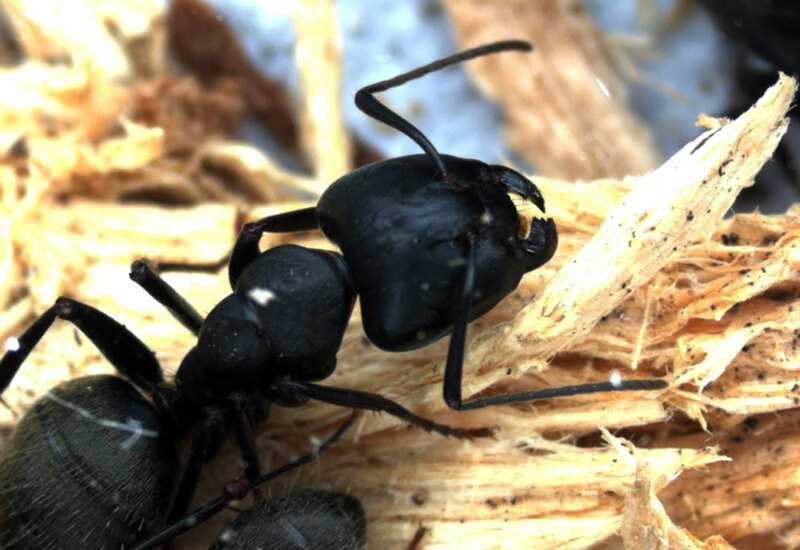 Black Carpenter Ants are almost gigantic compared to other ant species. Recognized mostly by size and color, this type of ant also has one segment at its waist and a long abdomen with lightly-colored gray-black hairs on it. They are glossy and completely black. Their antennae bend just after coming out of the head. Males have wings and fly, as do potential queens. From late spring to the middle of summer, they form swarms as they are actively trying to breed. Their name suggests that it is an ant that builds, and it does that very well. The building locations of Black Carpenter Ants nest can make them quite a nuisance for humans. 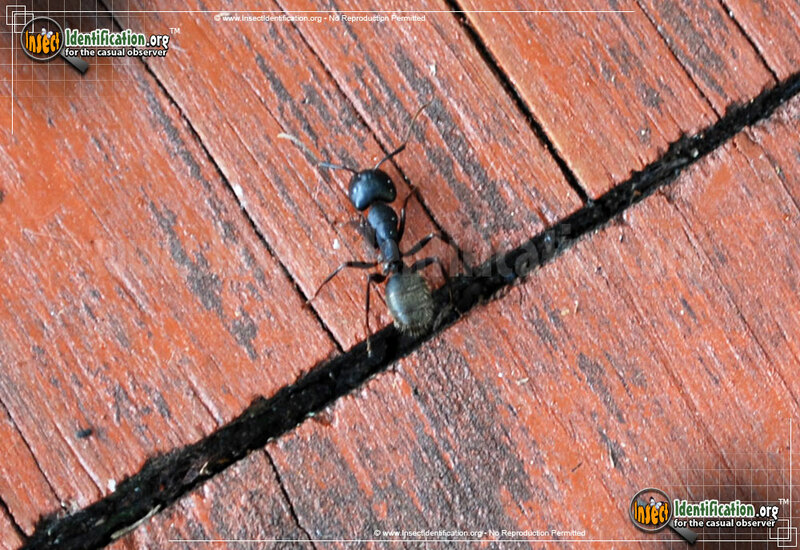 Carpenter Ants are unlike termites as they do not eat wood, but they do make a home in it. They build colonies of up to 10,000 ants in dead trees, telephone poles, wood piles and sheds, under house insulation, or even inside the walls of houses. Worker ants cannot fly and live to solely to serve the one queen in a mature colony. Solitary scouts are sent to forage for food and return to the spot with more ants later. The queen ant produces eggs quickly, and it takes little time for a small colony to grow into a massive one. A large colony will even begin expanding into smaller satellite colonies if space is limited. Infestations can cause a lot of damage and are best removed by a professional exterminator. Black Carpenter Ants do bite, though they cannot sting. Another defensive maneuver they use is spraying formic acid at a possible threat. (All members of the family Formicidae build up an internal store of natural formic acid and use it to ward off predators.) Black Carpenter Ants feed on plant juices, fungus, food scraps, and even other insects. Most food foraging is done under cover of night, though they have been seen at breakfast on kitchen counters and stove tops eating leftover crumbs.